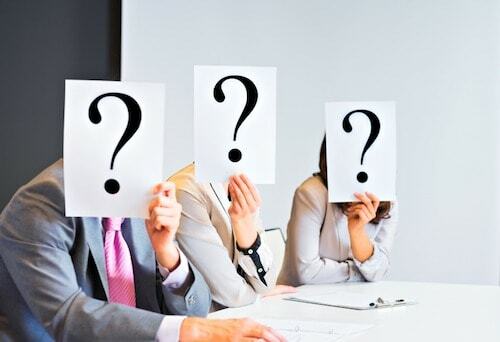 If you are shopping for an executive search firm to conduct an important senior-level executive search, don’t be fooled by the lists of search firm screening questions available for download on the Internet. Those lists are not entirely objective. Retained search firms have cleverly marketed lists of screening questions, that when answered, will lead you directly to their doorstep. Even human resources associations and other seemingly independent organizations often get spoon fed the same questions by a friendly search partner or firm. In other words, we suggest those cooked lists contain questions that are not in your best interest. Of course, you might wonder, who are we to talk? That is a perfectly reasonable question. The Good Search is a retained search firm, after all. However, we do not benefit from criticizing the concocted lists of screening questions — not when they promote the kinds of services we offer. However, The Good Search believes it is good business to help executive search buyers become more informed consumers. I founded this practice because I believe there is a better way to recruit top talent. Executive search has to get smarter. Still, when you get right down to it, it doesn’t matter who we are or what we believe. We simply suggest that you be on the lookout for bias in search firm questions and think about more relevant screening questions to ask. Draw up your own list of questions. To that end, I’d like to share my thoughts on a few of the common screening questions. Sometimes the obvious answer isn’t always the best. How many searches have you conducted for this kind of role in the few years? The implied preferred answer is that the more executive searches a firm has done for a similar role the better. Yet, that’s not necessarily the case. In retained executive search, the more identical searches a firm conducts, the more likely it is that they’ve done business with the companies you’d want to recruit out of for your engagement. Because they’ve done business with those target companies, they are likely off-limits to that firm. In other words, retained search firms can’t recruit out of target companies that happen to be their clients. When they can’t go there then you can’t go there. Too many identical searches are not a good thing. In fact, search firms that rattle off a long list of similar engagements should be screened out, not in. Will the executive search firm consultant I meet with actually be the one doing the work? The implied preferred answer is “absolutely”, leaving the buyer with the impression that the partner is elbows deep in the engagement each and every day. However, every major retained search firm works on searches in conveyer belt fashion. First come the researchers who identify candidates, then come junior associates who qualify the candidates; and after that come the consultants and partners who do more in-depth interviews, assessments, and manage the engagement through its successful completion. Smaller firms and boutiques may cut out a layer or two, but teamwork in executive search is pretty standard practice. In our view, what is more important is whether those working on the engagement offer serious research expertise, business acumen, and added reach — the ability to tap candidates out of the grasp of other search firms. The most frequently measured metric cited by executive search clients is how long it takes to complete an engagement. But here, one must ask why that is. Often, a search firm has little control over how long it takes a company to schedule interviews and, ultimately, to make up its mind. A more telling metric is how long it takes a search firm to present the candidate who ultimately is hired. Without a doubt, finding, recruiting, and getting a top executive onboard in a timely fashion is tremendously important. Vacant executive positions exact a real cost in lost revenues, lost opportunities, overworked team members, poor morale, and increasing customer dissatisfaction. However, time-to-hire dominates because it is an easy metric to capture. Value is much harder to measure because it is qualitative. Yet value remains the most important metric of all.